You can encourage bats to roost in your area or school grounds by building and installing bat boxes. We have designed a leaflet describing how to build a bat box here, and you can also watch this Youtube video by Chester Zoo for a slightly different design. Our colleagues at Northern Ireland Bat Group can arrange for a bat specialist to visit your school and talk to your students about bats, email them here for more details. Bat Conservation International is based in Austin, Texas. The Kidz Cave is a resource on the BCI website dedicated to teaching children with lots of fun activities. 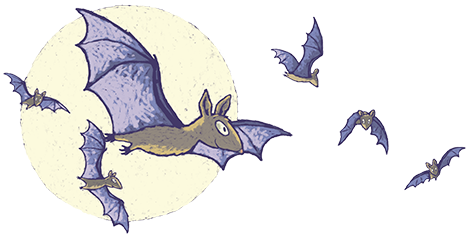 The Bat Conservation Trust is based in the UK and also has educational and fun resources for children. The Association of Zoos and Aquariums has also developed bat-related education activities. The Lubee Bat Conservancy has various worksheets and craft ideas for creative batty fun. 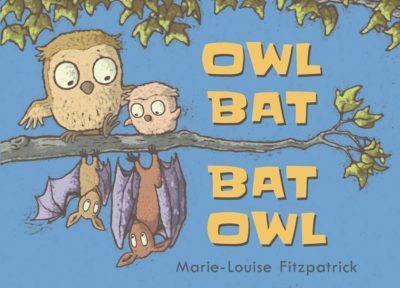 Owl Bat Bat Owl is a picture book suitable for children aged 1+. It is by Marie-Louise Fitzpatrick, the author and illustrator who provided the illustrations for this website. Available from Walker Books. 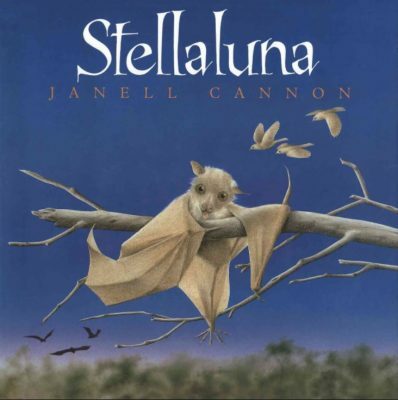 Stella Luna is a children’s classic by Janell Cannon, the tale of a lost fruit bat who is adopted by insect-eating birds. 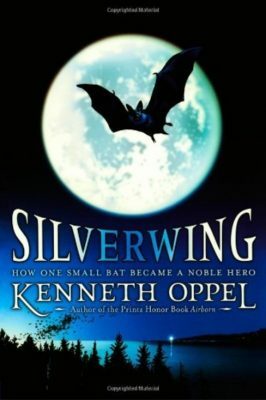 The Silverwing trilogy of books by Kenneth Oppel are for older children and are somewhat similar in style to Watership Down.